Cape Fear is a must play in the Grand Strand area, recently name "Top 18 Course Openings in the World 2010" by Links Magazine. Recognized by both Golf Magazine and Golfweek as one of the "Top Best New Courses" for 2010. Cape Fear National has partnered with Holiday Inn Express Leland and Best Western Plus to offer stay and play golf packages. 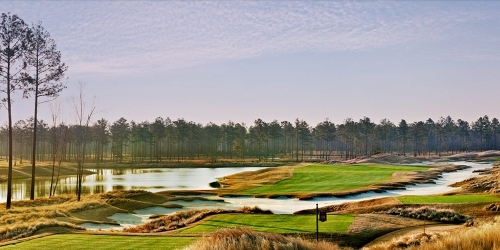 Cape Fear National at Brunswick Forest reserves the right to change price and offer at anytime. Prices and offer are subject to change without notice. NCGolf.com is not responsible for errors posted in this golf package.